Only a few hours south of Manila, lies the beautiful province of Batangas. It’s capital, Batangas city, is home to one the country’s busiest ports – as it serves as a major gateway to Manila. However, the province is much more than just a stepping stone to Mindoro and other nearby islands, since it has some of the most beautiful beaches in the Philippines. Batangas is a perfect destinations for people who are visiting Manila for just a few days and looking to escape the hassle of the city. It can also be easily incorporated into a larger itinerary, thanks to its vicinity to the city. We offer complete Batangas tour packages, including transfers, hotels and day tours. Read our guide to discover everything there’s to do there, and find the best deals available. All Batangas packages include transfers, accommodation and tours of all popular sites. These packages can all be edited so they meet your specific needs. Take a look at our pre-made packages below, click on each for more details and add everything you like to your wishlist. Since Batangas has hundreds of stunning beaches, both popular and secluded, you should expect beach hunting to be a key component of every package. That doesn’t mean you can’t spend some time pursuing other activities, as there’s no shortage of those either. It’s also very easy to combine Batangas with other destinations, thanks to its busy port and ferries going out to many different islands. There are literally hundreds of hotels spread all across Batangas, thanks to the province being such a popular destination among local tourists. Accommodation ranges between cozy hostels and guesthouses, mainly in Batangas city, to all inclusive beach resorts. You can find 5 star resorts in the most popular beaches – primarily Anilao, Nasugbu and San Juan. Lipa city also has some great hotels, located near the waters of Taal lake. Continue reading further down this page to find detailed information about each area in Batangas. You will learn about the popular beaches, nearby tourist spots and attractions. Choose the area which match your preferences the best, and build you entire custom package around it. Since Batangas isn’t a huge province, and commuting is easy, it’s recommended to tour the whole area and even switch between hotels during your stay. Flights : Fly to Manila and take the bus from there. There are many different companies operating this short line – some go straight to Batangas city. If you want to get to Nasugbu, Calatagan and Lian you can take the Tagaytay route. Ferry : As mentioned, there are countless ferries to and from Batangas pier. You can get here from basically any area in the Philippines. Our experts will help you plan your travels in the most efficient way. Getting around : Mainly jeepneys for longer drives around the province, or tricycles for shorter ones. If you want to rent a car or motorbike in Batangas city, let us know and we’ll help sort it out. Best time to visit : To avoid the rain, try and come here between January and May. September to December should also be fine. During holy week the area is full with local tourists and prices soar, so you might have to head to more remote beaches and islands. Local festivals and holidays : There are no less than 50 local celebrations each year, mostly in the months where weather is fine. The festivals are scattered all throughout the province, so just let us know if you want to participate in one and we’ll direct you there. None of the festivals stands out, but they are all a fun way to meet the locals and enjoy an unusual experience. To get to Anilao or Batangas pier, you will need to take a Batangas City bound bus from Manila. There are several companies who operate this line: JAM Liner has terminals in Pasay (Buendia and Taft intersection), and in EDSA-Cubao. ALPS has a terminal in Araneta Center – Cubao. The air-conditioned bus ride costs around 160P, and stops in Batangas City main bus station and Batangas Pier. If you’re in Makati, take the JAM Liner bus in Taft Terminal station, as it is closer and reachable via MRT. If you want to go to Layia Beach ALPS bus company has buses leaving hourly to San Juan Batangas, from 03:00am to 05:00pm. The terminals are the same as described in the paragraph above, and the fare is 180P. From San Juan, you’ll need to take a jeepney, tricycle, or taxi. To get to Nasugbu, take a DLTB Bus from the Gil Puyat Station (Taft Ave. and Buendia Ave. intersection) or Baclaran. DLTB have a direct bus going to Nasugbu Bus Station, and from there you can get to Lian and Calatagan as well. This bus is also available in Taft terminal station of the MRT. An alternative to these routs is taking a taxi. It’s not going to be cheap – a ride to Batangas City will cost 3,500P ($70), and it’s even more expensive to go to other locations in Batangas. What To Do In Batangas? Naturally, this guide will focus almost entirely on the different beach towns around Batangas, as they are the main attraction here. We will explain the differences between each, as well as name the popular tourist spots and hidden beaches. We also try and present a shortlist of more unorthodox things to do in Batangas, for those looking to do more than just relax at the beach all day. Add any item you like to your wishlist, and create the ultimate Batangas vacation package. 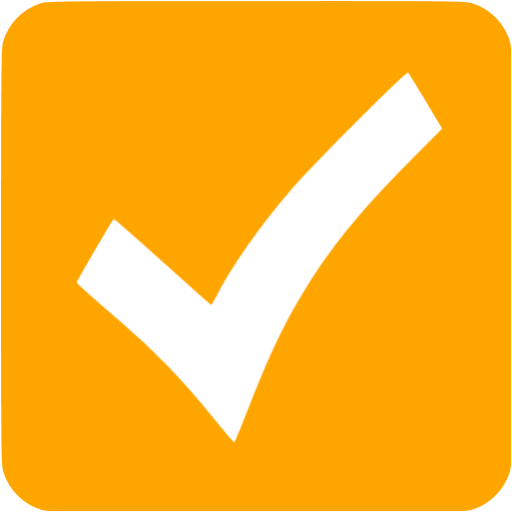 If you need more information about a certain activity, don’t hesitate to contact us now. If you are considering taking the trip down to Batangas, it’s most likely because you’ve heard of Anilao. It’s location at the epicenter of the Coral Triangle and just 3 hours drive from Manila, made Anilao the birthplace of the Philippines diving scene. However, contrary to popular belief, Anilao isn’t really a recommended location for a beach getaway. Don’t get us wrong, the views at Anilao are fantastic and resorts are world class. The problem is most beaches here are just narrow strips of sand, separated by huge stone cliffs. To make matters worse, the water itself is full of rocks and large boulders – making swimming unpleasant and even dangerous. That is why we recommend visiting Anilao only if you are into diving and snorkeling. No doubt its one of the best diving spots in the Philippines. We’ll dedicate a whole section to diving in Batangas further down this page, so you can read all about Anilao there. One location which is truly recommend is Laiya beach near San Juan. Thanks to its white sand and clear waters, Laiya is quickly becoming one of the most popular beaches in the Philippines. It’s even mentioned in the same breath with the likes of Boracay! Although clearly less spectacular, Laiya beach offers a complete experience without being overwhelmed by the crowds. There’s also no shortage of accommodation here, ranging from hostels to luxury resorts. Another place you could check out is Nasugbu. Located on the eastern side of the province, this quiet town is surrounded by spectacular beaches. Although not as popular as Laiya, Nasugbu still sees many tourist every week and the best beaches can be a bit crowded. The area is well developed, and there are multiple 5 star beachfront resorts. If you are looking for a unique adventure and a private beach, sail to the nearby fortune island. Neighboring Nasugbu to the south is the municipality of Lian. This place was the spot for Manila’s rich and famous during the 1950’s and 60’s, but has lost some popularity since. Still, Lian has some beautiful beaches – most notably Matabungkay Beach. The choice of hotels here is a bit more limited, with just a few resorts that follow western standards. If you continue further south, you’ll arrive to Caltagan, one of the most picturesque areas in Batangs and great place for a day tour. Chances are you’ll spend at least some time in Anilao, and as mentioned the beaches there are bit problematic. Don’t worry! We got the perfect solution for you, so you can still enjoy the complete Batangas beach experience. There’s an island called Tingloy just a short boat ride from Mabini and it’s full of beautiful beaches. Most Anilao resorts will happily arrange an island hopping tour for you, so you combine a visit to Tingloy with some snorkeling and diving. For those who prefer to avoid the boat ride, there’s always other options. One beach we especially recommend is sampaguita beach in Bauan. This beach is privately owned by the local dive resort, but you can access it without any problem. Being just north of Anilao means there are much less people, and the beach is simply great. Anybody who is staying at either Batangas city or San Juan, has some decent options as well. We suggest you spend some time exploring Malabrigo beach in particular. The beach is quite unique since it’s completely covered with pebble-stones, very unusual for beaches here in the Philippines. It’s still comfortable enough to sit on the beach, but even better to get into the waters and swim. Lastly, we haven’t forgotten those of you who plan to stay in Nasugbu. There are plenty of smaller beaches nearby and they are all nice. One beach however stands out and that is Burot beach in Cataglan. You can easily spend the whole day there, and it’s also a great spot for camping. If you do decide to go to Burot, please consult with us first. The beach has been closed to the public for a long duration of time more than once. There are plenty of other beaches nearby, so if it’s closed we’ll suggest an alternative. By now you already know Batangas is full of beautiful beaches, and many of them offer fantastic dive sites. 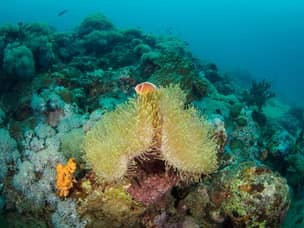 However, if you plan to visiting the province and intent on diving, it makes no sense to go anywhere else except Anilao. Comprised of two barangays (districts) near the town of Mabini, Anilao is the perfect divers haven near Manila. The whole area is full of dive resorts, some of which offer all inclusive deals. You can easily find accommodation at any level you feel comfortable with, from luxury to budget. The fact Anilao is more local tourist oriented means hotels are generally much cheaper than those at other islands. That is why this is one of the best places for beginners to spend a few days and get their diving certificate, before continuing to other locations for more advanced dives. The fact that Anilao was a pioneer in the local diving scene means diving culture is extremely developed here. Almost all resorts will offer in-house training, lessons and guides. Diving tours are also available, as well as island hopping and other exciting adventures in the area. The gear is also provided by the resort, but bringing your own makes it cheaper. We especially recommend joining a group and taking the diving tours together. It will not only make things more affordable, but also enrich your experience and help you meet new friends. Anilao is full of amazing diving spots, with coral reefs and marine life found everywhere – so you are certain to have a great time. If you came to the Philippines for diving, this can make for a great start to your vacation. 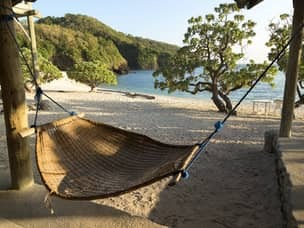 There’s so much more to Batangas than beaches and diving, so you shouldn’t have any trouble finding other things to do. The greatest thing is, it’s absolutely no trouble combing these with a beach vacation. Most resorts will help you plan day tour, and even find private tour guides if you need those. All you have to do is let us know what activities you’d like to try, and let us take care of the rest. Batangas is a very popular hiking destination, because the sites here are extremely accessible and not too demanding. Both Mt.Batulao and Mt.Talamitam are very close to Nasugbu and are great hiking spots. Each trek shouldn’t take more than half a day to complete, with Mt.Bulato being the harder of the two. Since there are hardly any tress around, it can be a bit exhausting when the sun is up. But that shouldn’t be an issue, you can get plenty of rest at the beach when you are back. Batangas is so close to Manila, the first area conquered by the Spaniards, which means it has a rich history and culture. If you are visiting fortune island, make sure to visit the San Diego museum – dedicated to the famous sunken galleon salvaged nearby. Another indication to the area’s importance for sea trade are the two lighthouses built by the Spaniards. The lighthouse in Calatagan is more famous, but the one at Malabrigo beach is just as nice and impressive. For a deeper look into history, make sure to visit the churches of Batangas. These are some of the oldest Christian monuments in Asia, and extremely well preserved. These churches can be found at any city or town in the province, and they are all quite impressive. Out of them all, the Basilica of St. Martin of Tours in Taal is the most popular one to visit. We also suggest you check the town of Lipa nearby – home to both the San Sebastian Cathedral and Mt.Carmel Chapel. Is Batangas The Right Place For My Vacation? Many people who consider visiting Batangas aren’t sure whether or not it’s worth their time. The table below presents a brief comparison between Batangas and other popular destinations near Manila. We hope it will help you understand better whether Batangas is the right vacation spot for you, and where does it excel over other locations. This price includes: Transfers, Accommodation, Day Tours and Living costs. This price includes: Transfers, Accommodation, Tours and Living costs. Getting to all three is very easy and takes only a short time, which makes it perfect for a weekend getaway from the city, as well as a good family vacation. 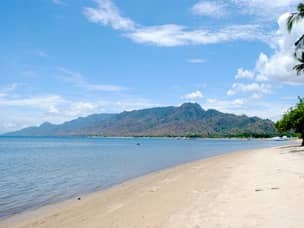 Because of Batangas’s calm nature, it’s recommended for families and couples, who can spend quality time together in beautiful beaches, and enjoy high standard of service. If your’e traveling with children, and seek activities to keep them occupied, Subic’s Ocean Park and Safari are exactly what you need. Batangas is also the cheapest among the three. It’s also a much bigger province, and has some great day tour activities like Taal Volcano in Tagaytay, and lots of beautiful beaches to explore. If you are a serious diver and that’s your main interest, you’ll be better in Puerto Galera for the coral reefs and marine life, or in Subic Bay for its world class wreck diving. One very important thing to know about Subic, is that it hardly has any nice beaches, which is a real downside. Limited time offer : Rates as low as 50 USD a day for a couple! If your’e interested in both Batangas and Puerto Galera, you can easily visit both, because the way to Puerto Galera goes through Batangas. Especially recommended for families, as breaking the trip into two stops, shortens travel times and makes the whole vacation more comfortable. How Does Batangas Fit Into My Travel Plan? The fact Batangas is so close to Manila is already a great reason to include it in your vacation. 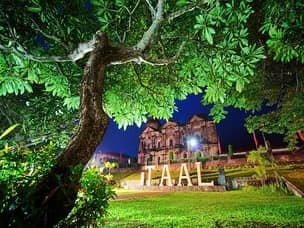 You could even spend a night or two in Tagaytay, then continue south and explore the province for as long as you’d like. Continuing from Batangas is very simple, with Puerto Galera being the most sensible destination. From there, you can reach many Visayas destinations such as Boracay or Cebu, so building an itinerary is quite simple. We offer complete Batangas packages, full of fun and stunning beaches. You can build your packages any way you’d like, and our team will help make your dreams a reality. It is, however, much better to include Batangas in a larger vacation package, and let us plan your entire trip. That way, we can make sure you experience everything the Philippines has the offer and enjoy the best deals and promotions.